13th Annual Teen Filmmaker Festival Winners! 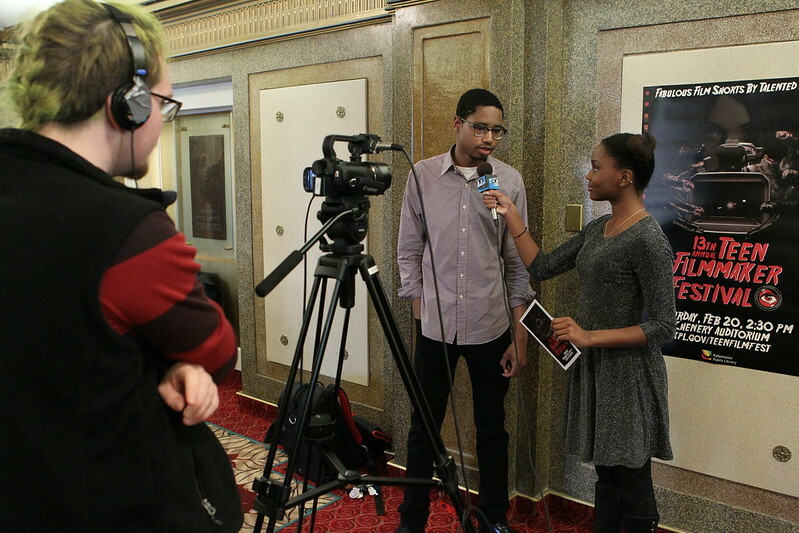 Congratulations to all the winners and finalists in the 13th annual Teen Filmmaker Festival! Credits: Emilee Erny, Eli Barker. Directed by Dorian Murphy. Directed by Nate Ginter. Starring Tyler Goerge, Paul Ginter, Karen Ginter. Original music by Otto Kailing. Directed by Nathan Ginter. Narrated by Tom Humiston. Starring Darius Ledbetter, Mitchell Pollack, Evan Begamen, Arif Jamal, Andrew Walsh, Ally Griffin, Erin Ruiter, Aliyah Jamal, Lily Edgerton, Leah Reid, Caitlyn Walsh, Sameen Khurshid. Animated and directed by Zak Sliuzas. Music "Tanz" by MIT Concert Choir. Written, filmed, and edited by Hannah Lane-Davies. Thanks to Amy Stermer, Grace Marshall, Olivia Venus, Lily DeHollander-Bird, Matthew Staples. Music "Where is My Mind" by Maxence Cyrin. Directed & edited by Logan Workman. Starring Erick Hatter. Music "Cryptorchid" by Marilyn Manson. The 13th Annual Teen Filmmaker Festival featured the year's best teen-produced and directed films.